We are happy to announce the second edition of the inter-university Sports Physiotherapy conference! On March 21th Catherine Bidard, Sander De Bock (MFYS), Simona Crea, Kevin De Pauw (MFYS), Danijela Ristic Durrant, Shirley A. Elprama (imec-SMIT) and Jan Veneman collaborated in an interactive workshop on the European Robotics Forum 2019 in Bucharest. 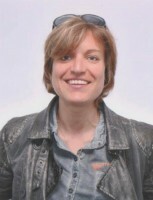 Introduction of Judith Haudum, speaker on the MFYS Sport Science Seminar. Introduction of Dominic Micklewright, speaker on the MFYS Sport Science Seminar.